American Express has released an offer enabling eligible Amex card members to get $50 back on Qantas flight bookings of $300 or more – a great opportunity to save money if you have one or more trips coming up! To claim the offer, you need to save it to your eligible Amex card and then spend $300 or more on that card, in one or more transactions, on flights at Qantas.com by 28 April 2018. Eligible flights are flights within or departing Australia and paid for in Australian dollars. The offer excludes round-the-world flights. This offer is limited to the first 30,000 card members to save it, so don’t delay. You’ll then have until 28 April to make your flight booking(s). 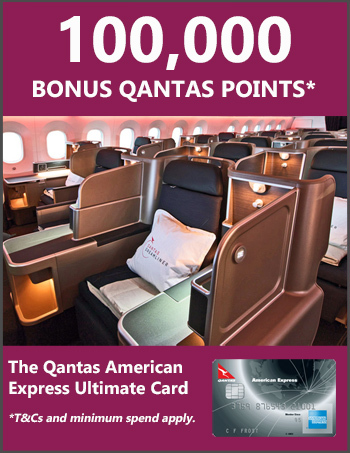 It’s not clear which cards are eligible, but I was able to save the offer to my Qantas Amex Ultimate Card via the Offers section of the Amex app. If you can’t see it in the app, you may still be able to save the offer to your card via Amex’s website, here. Amex regularly releases offers that can save card members money – another great reason to hold an Amex card in your wallet. You can check out our favourite Amex card reviews here. Its pretty widely available I believe. I was able to save it on my AmEx Explorer and AmEx Platinum Edge card. Unfortunately, I lean more to Velocity so rarely fly Qantas. But its a great deal for someone collecting Qantas points.